/EIN News/ -- BERKELEY, Calif., March 30, 2016 (GLOBE NEWSWIRE) -- One World Play Project has welcomed a new member to its management team. The company has appointed John Heymann as chief executive officer (CEO), spearheading the company's overall business strategy as it continues to grow its impact. As founder and principal of NewLevel Group, a values-driven consulting firm and longstanding partner of One World Play Project, John brings more than 35 years of industry experience as an entrepreneur, business owner, and nonprofit leader—supporting social impact organizations and their leaders in advancing missions that benefit people, planet, and profits. Additionally, John serves as chairman of the board of Social Venture Network (SVN), a group of CEOs, investors, and social entrepreneurs from around the world who are making a significant impact on global economic, environmental, and social challenges. "It is a privilege to be part of One World Play Project as its CEO—driving the vision and momentum to give people opportunities to thrive through play," said John Heymann, CEO of One World Play Project. 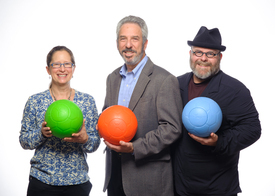 "We are fortunate to have a passionate, talented, and motivated team, and I am confident in our ability to champion the power of play worldwide." 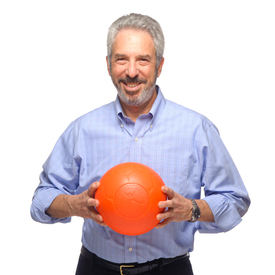 John is One World Play Project's first CEO, representing organic growth for the company, as it moves forward into an expanded field of play possibilities, products and services. "Even before we launched, John was a trusted and valued member of the One World Play Project family. The privilege of having John at the helm ensures that our vision is clearer, brighter and more playful than ever!" said Tim Jahnigen, founder of One World Play Project. Buy One, Give One: for every One World Futbol purchase you make, we donate another ball to communities and organizations all over the world. Buy & Give: with every purchase you make, a portion of proceeds will help support our Play Projects Program—focused on organizations and initiatives in need of specific resources to enable play for youth living in areas where play is scarce or non-existent. One World Play Project works with a partner network of over 50,000 individual organizations who use sport and play to teach health awareness, conflict resolution, gender equality and life skills. To date, One World Play Project has donated and distributed over 1.6 million One World Futbols in more than 175 countries worldwide—impacting over 48 million lives with the transformative power of play. One World Play Project makes, sells and distributes products and services to enable play around the world, especially for those living in the harshest environments where play is nearly non-existent. The company is a B Corporation, harnessing the power of business for social good. Collaborating with sponsors, organizations and individuals, the company works to support, enable and expand the transformative power of play in all its forms—anywhere and everywhere. To date, One World Play Project has brought the power of play to more than 48 million youth in over 175 countries worldwide. Official sponsors of One World Play Project include Chevrolet and MallforAfrica. Additionally, One World Play Project is a Global Champion of Designed to Move. One World Play Project is headquartered in Berkeley, CA with regional offices in Asia, South America and Africa—and distribution centers in Fremont, CA and Voerde, Germany. For more information, visit www.oneworldplayproject.com or check out our community on Facebook, Twitter, LinkedIn and Instagram.